Come with me to discover the Paris beyond the long lines and tourist spots, the Paris of niches and corners and unexpected pleasures. I'll show you the Paris of the 5 senses - taste, touch, smell, sight and hearing - where every step, every bite, every glance reveals an intriguing, delightful work of art! We'll discover small museums with breathtaking art, fashion and design, sample contemporary art in tiny galleries and artist studios, relish the delicious sights and smells of markets, patisseries and boulangeries, take a cooking class from a French-trained English-speaking chef, learn about perfume with a fragrance specialist, stroll through gardens, enjoy a special wine tasting, hear music in beautiful places, and much much more. Our base is a 3 star hotel in the heart of Paris on the Left Bank - at the center of things while also allowing a quiet retreat at the end of a busy fun day. In a charming, convenient neighborhood full of shops, cafes, restaurants and interesting sights we're well-cared and comfortable in our own corner of Paris. We'll sharpen our senses and our appetites at colorful markets and enticing patisseries. To be sure, we'll eat well in Paris, but we'll also take home some French ways with food. A cooking class with an English-speaking chef is a pleasure that you will treasure. Friends and family will be delighted with your new skills when you're back home! Learn to market and cook the Paris way with Arts & Pleasures! Tickle your fancy and your nose - Learn about the arts of perfume and find a fragrance just for you (or a lucky friend) with an aroma artisan. An elegant and unique experience that will linger as long as your Paris memories! Paris is full of beautiful gardens, from the grand and glorious to tiny pockets tucked away in quiet neighborhoods. We'll get to know some of them in our exploration of the arts and pleasures of Paris. May is the perfect time to visit beautiful gardens - a lovely part of this AST tour! The Flaneur, the savvy traveler who wanders freely, is a favorite in Paris. We'll make discoveries as we stroll the streets and neighborhoods, unlocking secrets of Paris past and present. You'll discover wonderful Paris secrets with ArtSmartTravel! Paris Arts & Pleasures is an 8 day tour beginning on Wednesday and concluding the following Thursday. The tour is limited to 12 people to ensure an extra-special experience. Travel to and from Paris is not included in the price. 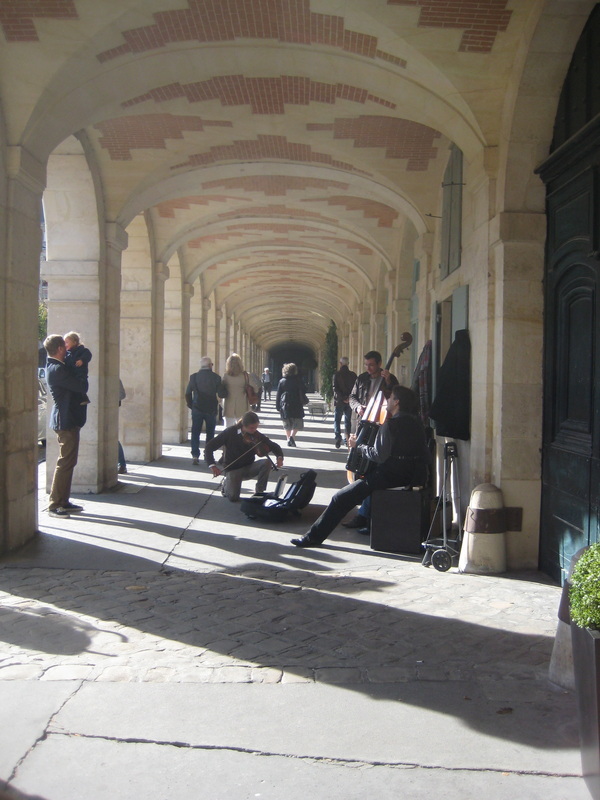 Paris Arts & Pleasures is ideal for friends and family members as well as individuals. Contact me with questions. "...thank you, thank you, thank you for your hard work, for the exquisite itinerary, for being you. Lovely trip, wonderful memories to share with friends"
"Thank you again for a really special time in Paris – we continue to marvel at all we saw and did and how easy it was to see and do it "
"What a great trip we had. Thanks so very much for all you did to make it special." "Words can't express the joy and the fond memories of our trip with you. You opened so many new visions with all your choices of places to visit and opportunities to experience Paris." "Wonderful group, wonderful activities and above all, wonderful leader!" "This trip accomplishes two almost impossible to do together things: it is great value for money and it is a highly unique, creative, and intimate trip." 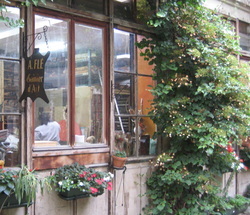 Artists are everywhere in Paris, in lofts, in 18th century artisan shops, down hidden alleyways. We'll join some of them in their ateliers and have the fun of knowing the story behind their work. Get to know contemporary art and artists in Paris with ArtSmartTravel! One of the joys of Paris is its trove of small museums and workshops, full of stories, history, and beauty. We'll look behind the scenes. Taste the Pleasures of Paris! We'll savor the splendors of tastes and flavors at cafes, local bistros, brasseries and restaurants. Great food and wine are always part of an ArtSmartTravel tour!